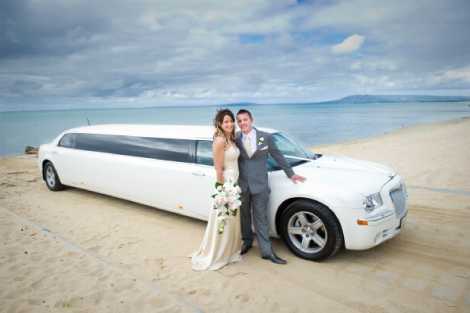 The White Chrysler Limousine oozes of sophistication and elegance. 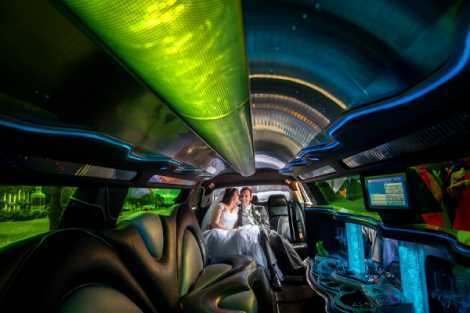 With seating for up to 10 passengers in the rear, this Chrysler 300C stretch limousine will make the perfect start to your special occasion. 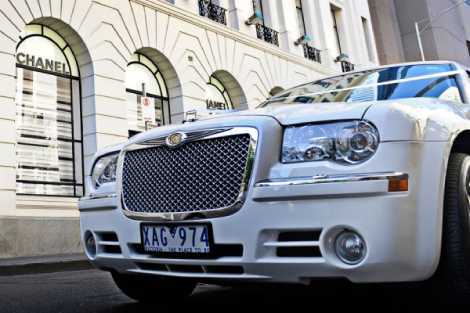 The elegant and bold exterior, ‘bentley’ style grill, and stunning interior will ensure the mood is set for a wonderful journey. 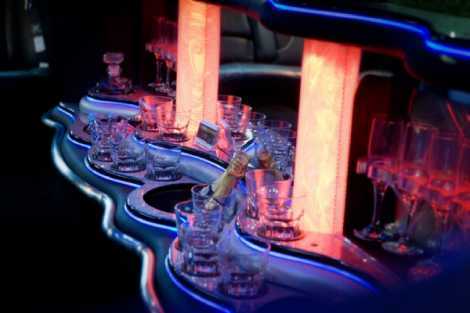 This white Melbourne limo comes equipped with 3 flat screen TV’s, a DVD player, stereo CD player, an elegant bar complete with champagne glasses and tumblers, soft and luxurious leather interior, air conditioning and spectacular interior lighting and KARAOKE system, the white Chrysler 300C stretch limousine is perfect for your special occasion. 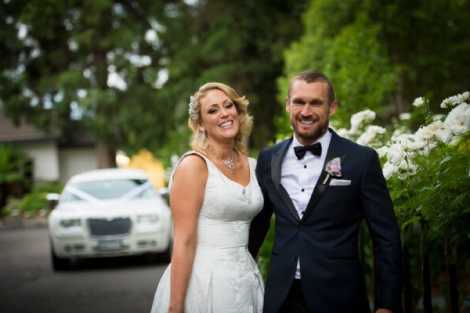 Our stunning white Chrysler limousine is the perfect transportation for your wedding day, special function or corporate event. 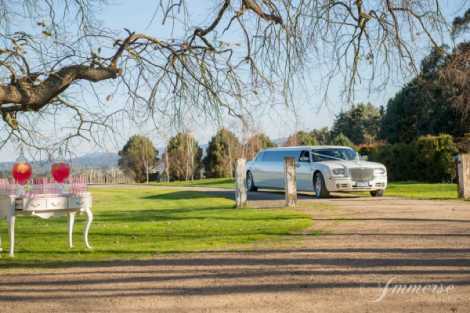 This classic white limo, with its sleek lines, chrome accents and high wheel arches, is the perfect car to accompany white classic cars for your melbourne wedding car transport. 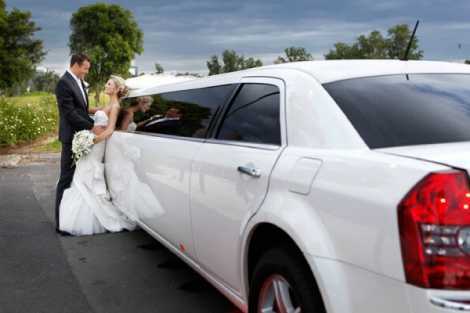 Perfect for your bridal party or for the brides with flowing bridal gowns – this spacious limo allows for plenty of room and comfort on your big day.